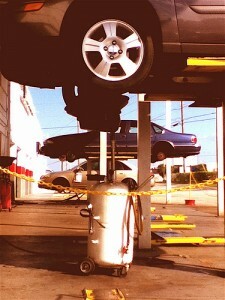 Getting your oil changed is an essential part of your car maintenance. Avoiding it or forgetting to do so, is risking your vehicle´s life. That is why SYNTEX LUBRICANTS wants to go over the importance that oil carries. It goes without saying, that checking the oil levels and changing the oil is fundamental. The oil assists in facilitating the job of the engine and helps it perform. There are many functions that the oil in your engine carries in order to allow the engine to work properly and efficiently. That is why the type of oil and the quality of oil that you use is of utmost importance. In a another post titled Use Only the Best to Care for Your Engine, we discussed some of the reasons your car will benefit greatly from using synthetic oil. It reduces friction within the engine and helps preserve it. It helps the engine maintain a good climate. It reduces wear on many of the engine parts. It assists in keeping the engine clean. It also protects the engine seals. If there are so many functions that the oil in your engine carries and of such importance, then; Why would you trust just any oil with your engine? Do not make that mistake, in the long run it will cost you much more. When your engine is ready for an oil change in Austin or any other part of the country use only the best synthetic oil.Trust only Amsoil synthetic oil. There are many shops that will do an oil change for very little but they will use very cheap oil, this is not productive at all. So always make sure that only the highest quality synthetic oil is used. For the most outstanding synthetic oil in Austin and America, contact us now. Your car needs you urgently, Call (512) 848-8240 today.